Superior Restoration is here in your time of need. 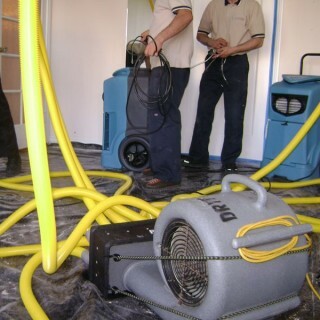 We take pride in our level of service when it comes to drying out your home or business and then restoring it. Water Damage Emergencies can be traumatic and we understand that. Our goal is to get your life back to normal as quick as possibly, while keeping the costs as low as possible. We are approved with many insurance carriers to provide restoration work, which takes the financial burden off of you..
With how complicated the insurance industry is as well as the variety of factors that go into a complete water damage clean up job, the latter half of the process can be extremely difficult and time-consuming. Working with adjusters and negotiating to get your claim paid is one of our greatest strengths. Our company has been working with multiple insurance carriers for years and are able to navigate the maze that comprises the claim process once the work is done. We aim to provide the best possible client experience by taking care of every aspect that we can, and a large part of that is making sure our customers are properly compensated by their insurance carriers instead of losing out. We are available 24 hours a day, 7 days a week for all types of water damage clean up response. Whether you need immediate emergency service in the middle of the night or have a long-standing slab leak that just came to your attention, we are always available to handle the problem. Our technicians are all licensed properly and we are fully bonded and insured. Additionally, we have an excellent local reputation as well from many years in the business, and we look forward to providing you the same top-notch service as all of our satisfied clients. Contact us at (951) 579-4096 anytime for questions or an instant service call. For More Info Call 951-579-4096 Today!